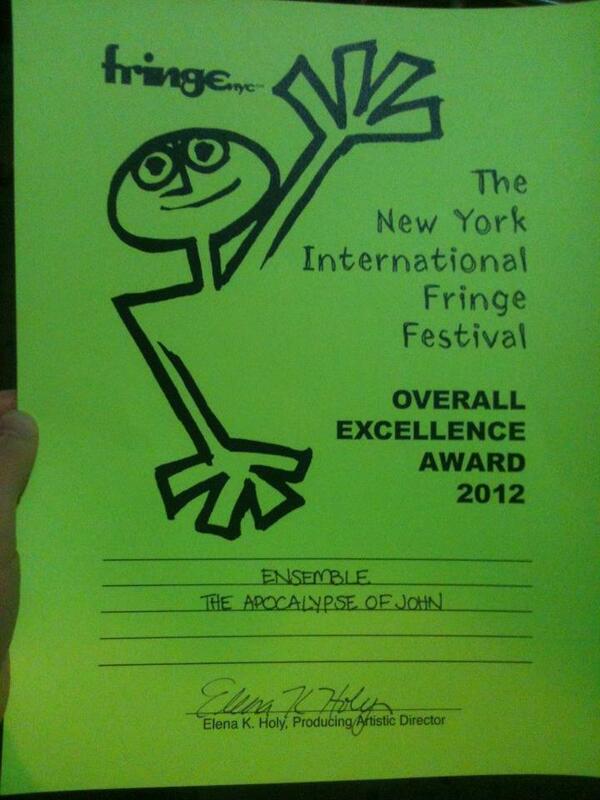 The Serious Theatre Collective: Apocalypse of John wins the Overall Execellence Award for Ensemble! Apocalypse of John wins the Overall Execellence Award for Ensemble! 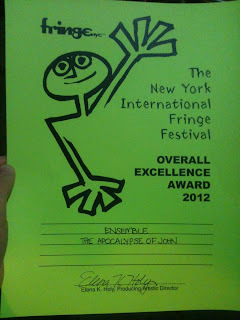 At the NYC Fringe closing night awards ceremony, the Apocalypse of John won the Overall Execellence Award for Ensemble! For a theater company that's all about collaborative creating, this is probably the finest honor we can think of! Congratulations to the cast, band, crew, and writers!